Packaging equipment provides manufacturers and packers with efficient methods of packaging and protecting products for transport and sale. Offering options for improved efficiency, properly calibrated and supported machines, can increase packaging materials use and improve packaging speeds. Crawford Packaging has over 50 years of experience developing impactful packaging solutions for our clients. Working with world-renowned packaging equipment companies, we offer clients new and innovative equipment for their packaging solution. Our team of factory trained, and certified technicians support your packaging machines throughout its lifecycle. We offer a full line of packaging equipment support to ensure your machine has a long and productive life. Containment equipment helps to strengthen your packaging during transportation. It offers increased structural support and limits the risk of loads shifting and collapsing. Quality produce packaging not only protects the manufacturing investment, it creates attractive products that produce high levels of customer satisfaction. Produce packaging equipment offers fast, efficient ways to packaging your produce for retail. Carton packaging machines are able to increase packaging efficiency by increasing automation options and improving packaging speeds. Full carton packaging solutions are able to erect, transport and close your cartons. We have taken these core concepts and develop comprehensive packaging programs for our core product offerings. Take a Crawford Packaging Specialist for a plant tour. As packaging specialists, they see the world differently and can uncover opportunities to save you money and make your business better! If you are in the process of purchasing a new piece of packaging equipment consider a visit to our Packaging Equipment Showroom located in Brampton Ontario. 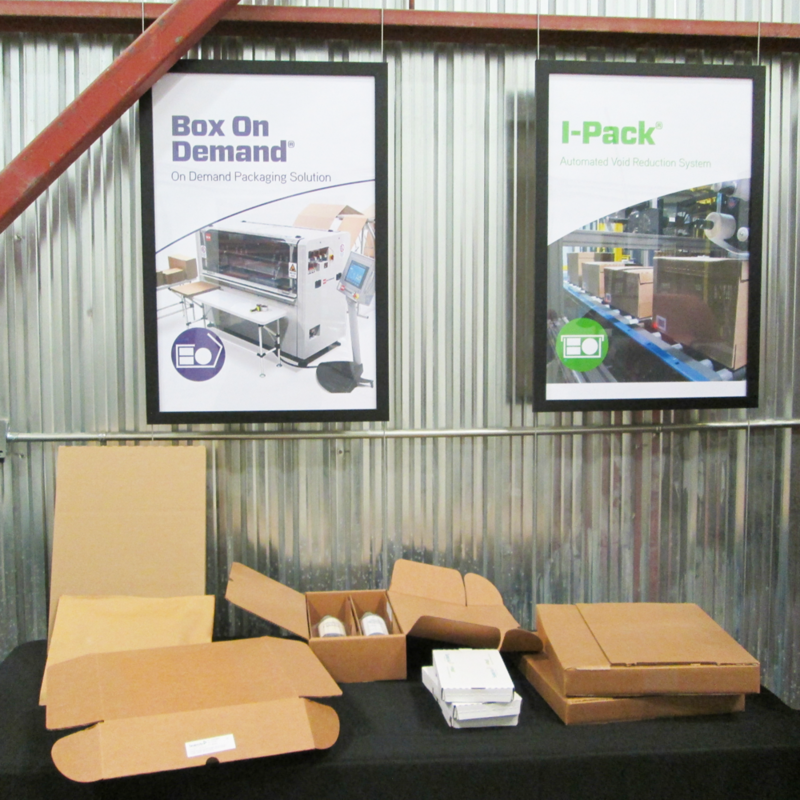 The Packaging Equipment Showroom provides prospective equipment buyers a chance to have hands-on experience with the equipment they are looking to purchase. Bring in your products and we will run a packaging test with your desired equipment. Unable to make it in? Send us your product and we will test it for you! The Packaging Equipment Showroom is available by appointment and sees frequent changes to the featured equipment available to test. If you are looking for certain equipment, please indicate it below.